Cyle Larin scored two goals to lead Orlando City SC to a 2-1 win against 2015 expansion cousin New York City FC (NYCFC) at Yankee Stadium in New York. The win put Orlando City atop the Eastern Conference in MLS and was the club’s first away win of the 2017 MLS campaign. The win provided a mark of revenge for Lions Head Coach Jason Kreis, who was fired by NYCFC after the 2015 season. though he downplayed it to reporters after the match. “Each game we play against New York City, the emotions for me are less and less. The attachment is less and less, to the point where this week I didn’t have any extra motivation,” Kreis said after the 2-1 win at Yankee Stadium, his third meeting with City since becoming Orlando’s manager in July. 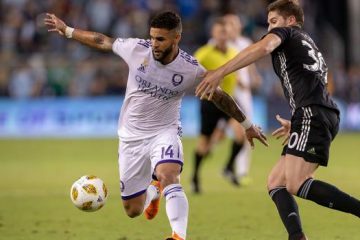 Orlando City had a reputation for being a frail defensive side in its first two seasons in MLS, but Sunday’s victory showed how far the club has come toward collective defending. 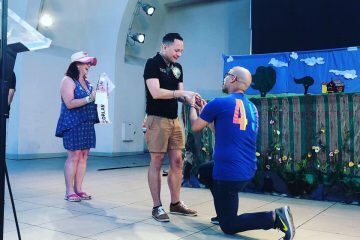 “I think it’s about that collective willingness to do whatever it takes,” he said. 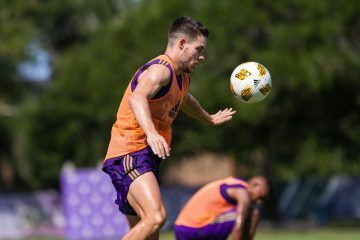 “When you see your strikers coming back to make defensive plays that they don’t necessarily want to make, when you see your midfielders diving in front of things to stop [shots]; obviously (goalkeeper) Joe Bendik continues to make the biggest saves when we need it at the biggest moments,” said Kreis. 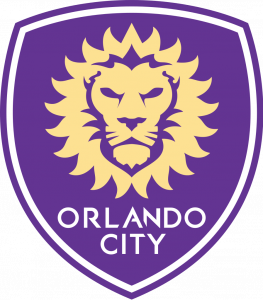 Orlando faces off against Colorado at Orlando City Stadium Saturday at 3:55 p.m. ET. Meanwhile, back in the Sunshine State, the Orlando Pride salvaged a late 1-1 draw with the Washington Spirit in a game broadcast nationally on Lifetime Network. At halftime of the game, the stadium was announced as the host for the 2017 NWSL Championship game. Danica Evans rescued a late point for Orlando with an 89th-minute goal. Early in the match, Washington surprised the Pride with a pressing game which created several turnovers and forced Ashlyn Harris into multiple big saves. 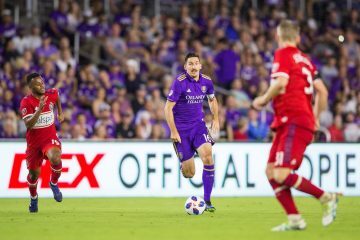 But after about minute 35, Orlando dominated the proceedings despite giving up a goal on Washington’s first corner kick of the match early in the second half. Brazilian superstar Marta entered the fray for her Pride debut in the second half. Marta almost won the game late for the Pride getting behind the Spirit defense on a counter-attacking move but sending her shot just wide of the far post at the death. As far as the title game being held in Orlando’s glittering new stadium, the league is excited. The match will be Saturday, Oct. 14.